The Diodes never played a song I didn't like. There are only a very, very few bands that can say that -- The Jam and The Shingles. The first because, well, hell, they were the Jam; and the latter because, well, hell they only played one song I know of. No matter, The Diodes were probably my favorite pogoing, power pop, punk band of the 70s set. They were crisp, the lyrics were clever, and the music was both brash and subtle, not something easily achieved. 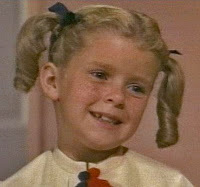 This track, Child Star, is their ode to Anissa Jones, the lovable, pigtailed Buffy in the sixties sitcom Family Affair. Her child-star story is more tragic than most, maybe than any. There she was the adorable, Mrs. Beasley clutching little girl that TV viewers thought was the cutest thing since sliced bread. 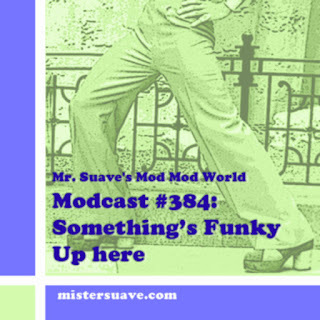 That was during the shows heyday in the late 60s. Anissa Jones was reportedly quite a person. When she turned 18 she bought herself a crappy old pinto, and bought her brother, who she loved more than life it seems, a fully-loaded Camaro. All the time though she was a raging drug addict. When she died in 1976 of massive overdose, massive seemed an understatement. Her overdose was a deadly cocktail of mega amounts of cocaine, angel dust, Quaaludes and Seconal. The San Diego County coroner reported at the time that it was one of the most severe cases of overdose ever seen in San Diego County. The Diodes weren't the only band to sing about Buffy aka Anissa. Angel & The Reruns put out the novelty like and bubblegummish Buffy Come Back To Me. But The Diodes Child Star is poignant without being mocking. A great example of the bands songcraft which was ahead of its time, and always head and shoulders above their colleagues. Jez kidding. Thanks for posting the song. It is awesome ole school punk (from Tronto! ay? ), and very hard to find.